Hello guys, want to keep your PC out of risk from viruses by getting the Avast AntiVirus for your Windows laptop? 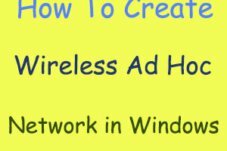 If you’re searching to know how to get this amazingly powerful Avast Anti Virus in your Windows PC, follow the below mentioned simple tips to install Avast AntiVirus on laptop. Really this is the best AntiVirus for Windows 8.1 or Windows 8 or 7. Before going to download this, just see what damage a virus can do to your PC? One thing what you want to do when you have precious data and files in your PC? You would like to protect them, right? Files may be lost by deleting or by some harmful viruses that are in your PC. This virus is gonna crash all your files, if you’re not cautious. So, you can be aware of your important files by not deleting them but, you can’t recognize from where the virus is going to come. Some people intentionally inject the viruses into the PCs to collect their crucial data, the mediums to sneak in the virus may be Pen drive, Memory card and some other sources. What I wanna say is, it’s better to have an AntiVirus protection to not give any chance for virus to enter in your PC. Now see how to download and install this Avast AntiVirus program on your PC. 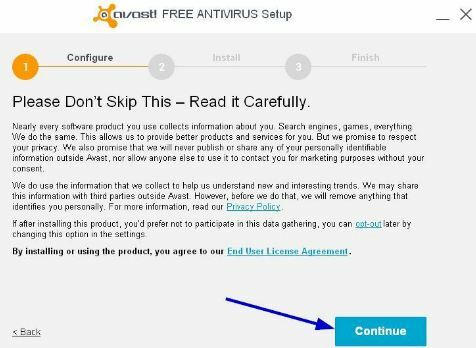 Before Going To Install – Read This: If you’ve already installed any other AntiVirus program in your PC, please uninstall it and then install Avast. If you have both softwares, you’ll face some disruptions while scanning goes on. 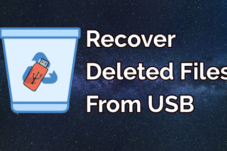 Permanently deleted files in your PC? Then you must have a best data recovery software to get back those files. You’ll get the Avast virus protection software if you go through the above given link. 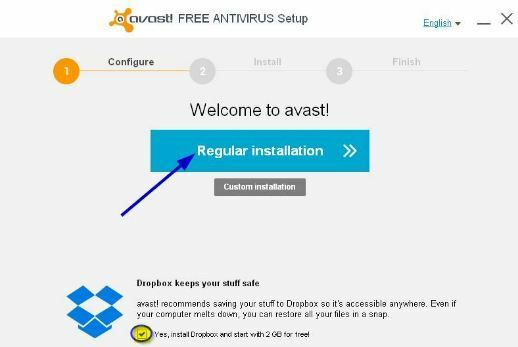 Later completion of download, here is how to install that software, Avast. This will be finished in 2 minutes. 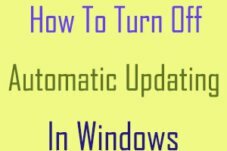 You can also use this in Microsoft Windows 10, even though it is yet to release but its Technical Preview has been released, if you want you can see amazing Windows 10 features and install Windows 10 by the beta version and get this Anti Virus. While Installing Avast- Check This: Make sure you have Internet connection while installing Avast software. If you try to install Avast without connecting to Internet, a window will appear to you indicating “error while setting up avast“. So, please stay connect to Internet, it won’t take much of your net data to install. Open or run the downloaded .exe file. Configure-1: You’ll be shown a window like this. Click on “Regular Installation”. Configure-2: You’ll see privacy policies, if you want you can read them otherwise skip that and tap on “Continue”. Install: Now you’re at the 2nd step, here you’ll see installation process, don’t do anything especially don’t disconnect Web connection, please just wait for some time. I think you are at bank of the river i.e., at the final step. After this you’ll taken into Avast software, there you can setup your protection program. You can change the settings related to scanning and update of the software. Suppose if you would like to test that program how it is going to work, you can take a file or folder that may or may not contain virus and scan that with this virus protecting software. Now you’ll come to know what this program do. Are you a game lover? Then check your skills by playing Subway Surfer for laptop and the also the great arcade game Temple Run for laptop. That’s all about the this virus destruction software Avast AntiVirus program. I hope you’ve made it so simple to download AntiVirus for Windows 8 or Windows 8.1/7. Leave your comments below if you’ve any trouble installing Avast on your PC. Kindly share this post with your friends those who are using Windows and want to install this new version of Avast.